In Thomas Edison’s view, persistence was a key to success: “Genius is 1% inspiration and 99% perspiration.” In his endeavor to build a better storage battery, he made 8,000 attempts. “Well, at least we know 8,000 things that don’t work,” he is reported to have said. Returning to the chain of technologies that brings electricity from a power plant all the way to your home, we now move to the next part in the chain where electricity is carried from the power plant through high voltage transmission lines, power substations, lower voltage transmission lines, home meters, and finally to home appliances. This chapter is about the network of cables that brings us electric energy and how it grew. As long as the power plant generator is spinning I can get as much electric energy as I want from it. It takes hardly any work to make the generator spin. It does not work that way in real life. In real life, if you push on something it always pushes back on you, even if it is just an electron. The more current that flows from a generator, the more force it takes to make the generator turn. The more work the generator does for you, the more work you have to do to run the generator. This should not surprise anyone who knows the law of conservation of energy (energy is never created or destroyed). A generator cannot make energy. It transforms energy from one kind to another. In the mid 1800s, electric wires were strung around the country, not for carrying electric power, but for sending information by telegraph. Telegraph equipment required low power, which was provided by batteries. With the invention of the arc lamp the demand for electric power grew. In an arc lamp, the electricity jumps through the air across a gap between two carbon conductors, generating enough heat to vaporize the carbon and make it glow white hot. Arc lamps produced a very bright light—too bright to be used in the home. They also produced an acrid smell and soot. Their use was at first confined to mines, factories, street lights, and theaters. Many inventors struggled to develop a more convenient electric light made from a glass bulb with a wire inside that would glow brightly when electricity ran through it. Today we call it an incandescent light bulb. The person who won the race to develop and patent the first practical incandescent light bulb was Thomas Alva Edison. The challenge was to find a material that would make a suitable glowing wire, called a filament, without burning up. Such a light would be useful in homes, resulting in many customers for the electric companies. To help him solve the problem, Edison founded a large research institution in Menlo Park, New Jersey, eventually employing more than 100 people. Platinum was promising, but too expensive. After hundreds of trials, Edison settled on carbonized bamboo fibers as the best material for a filament to create the first marketable light bulb. To keep it from burning up, he pumped the air out of the bulb. Within a few months, he set up a demonstration of the new lighting system at Menlo Park. The demonstration so encouraged investors that he soon had enough money to light up the buildings on an entire block of New York City. Edison was not just an inventor. He was a shrewd businessman. His purpose was not just to sell light bulbs, but to sell electric energy. His very successful company, Edison Electric, was later purchased by industrial financier J. P. Morgan, and merged with other companies to form today’s huge General Electric Company. Early incandescent light bulbs were difficult to make and prone to failure. Making a carbonized filament meant shaping plant fibers and heating them to high temperatures without cracking them or burning them up. The challenge of building a better light bulb sparked a flurry of creative activity by the most inventive minds. 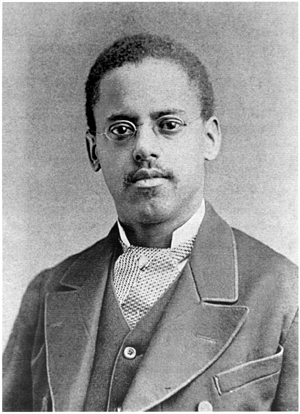 One of these geniuses was Lewis Howard Latimer who developed his natural ability as an artist into skills as a draftsman, inventor, engineer, and legal consultant. At age 10 Latimer was working for his father, an escaped slave, hanging wallpaper. His interest in reading and writing led him to become an office assistant for a law firm. After serving in the navy in the Civil War, he worked at the offices of patent attorneys, taught himself drafting, and patented a variety of his own mechanical inventions. The United States Electric Lighting Company hired Latimer and he invented a new process for making carbon filaments for incandescent lamps. By stamping the filaments from sheets of pressed fibers and sandwiching them between boards that would expand with heat precisely the same amount as the filaments themselves, Latimer was able to mass produce a reliable light bulb. He invented fixtures and switches for the light bulbs and helped install lighting systems and light bulb factories in the United States, Canada, and England. Latimer later joined Edison-General Electric, and although he continued to distinguish himself as an engineer, he became increasingly involved with patent law. General Electric and Westinghouse, usually rivals, both employed Latimer's talent regarding legal issues in the electrical industry. To find out more about Louis Howard Latimer, search the Internet, or see the Global Systems Science website, http://lhs.berkeley.edu/gss/ for relevant links. Follow the path to GSS update links to Energy Use, Chapter 5. The course of electrical development in America was changed by the ideas of a Serbian electrical engineer named Nikola Tesla. He arrived at Edison’s door in 1884 as an immigrant fresh off the boat from Europe with only four cents to his name and a reputation as an innovative engineer and problem solver. Edison hired Tesla. When the equipment broke down Tesla could fix it. In fact, he not only fixed it but he redesigned it and improved it. But what Tesla really wanted to do was scrap it, because it all ran on DC (direct current). Tesla believed that AC power (alternating current) should replace DC. AC generators were more efficient and reliable. Edison’s light bulbs ran on either AC or DC, so that was not a problem. Electric motors that were used for running all sorts of machinery, from fabric looms to drills and lathes, all ran on DC. But Tesla invented several efficient and reliable motors that ran on AC. The most important advantage of AC was in long distance transmission lines. Transmission lines lose electrical power because of resistance. Resistance is the tendency of a wire to heat up when electricity flows through it. The longer the wire and the higher the electric current, the greater the resistance and the greater the loss of electricity. The solution to the problem was to lower the electric current. Current is a measure of the number of electrons flowing through a wire. Voltage is a measure of the force on the electrons, pushing them through the wire. By reducing the number of electrons that flow (current), while increasing the force on each one (voltage), it is possible to deliver the same amount of electric power, but without heating the wire as much. A device to transform the voltage and current, while keeping the power the same, is called a transformer. At the power plant, transformers convert the voltage to at least 230,000 volts. Some operate at 765,000 volts. At substations, transformers lower the voltage to 720 volts—too high for use in homes, but high enough to travel several miles efficiently. 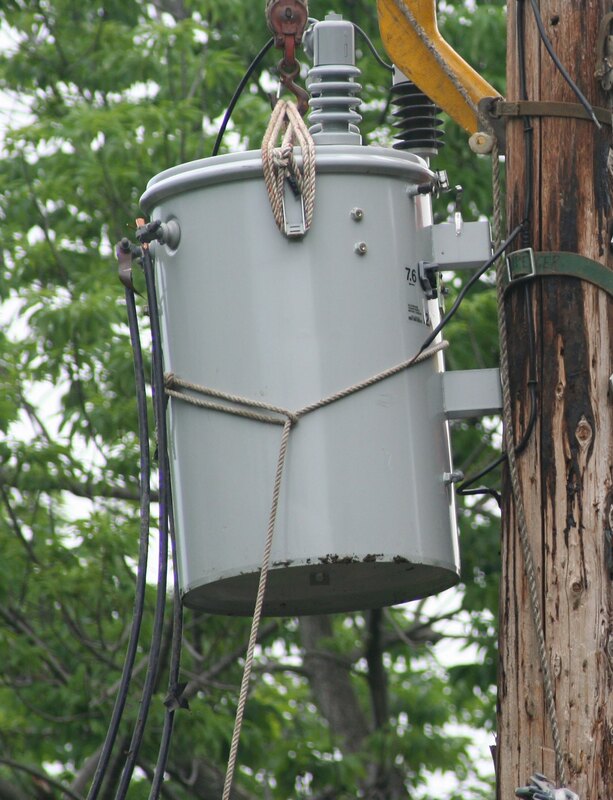 Smaller transformers at the top of utility poles step down the voltage to 120 volts or 240 volts for use in homes. Transformers operate only with AC. Tesla realized, as electric power spread, Edison’s DC system would become impractical. Still, Edison was stubborn. His DC systems were built and running, and customers were already paying. 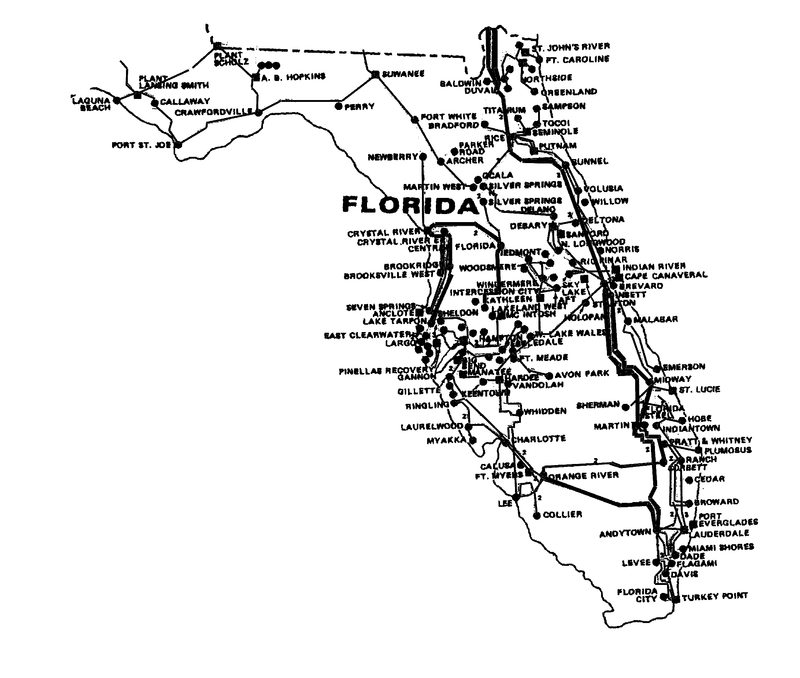 Edison saw no need to transport electrical energy over long distances, so for him DC was adequate. Edison and Tesla disagreed on more than AC and DC. Tesla disliked Edison’s method of problem solving by persistent trial and error. He believed that theory and calculation were the road to enlightenment. Edison, in turn, thought Tesla’s theories looked fine on paper but were not practical. They also disagreed on how much Tesla should be paid. Tesla resigned from Edison’s company. Within a year his ideas came to the attention of George Westinghouse, whose invention of the air brake and other railroad technology had made his company one of the industrial giants. He decided to enter the electric power industry using Tesla’s AC generating and distribution system. Here was a real competitor to Edison-General Electric. The battle between AC and DC began in earnest. Having no scientific justification for promoting DC over AC, Edison and his electric company played on the public’s fears. They put on demonstrations of the dangers of Westinghouse’s system by publicly electrocuting pets and farm animals with AC. (They could have done it just as well with DC.) They even made sure that the state of New York bought Westinghouse’s products for its first electric chair. People might hesitate, they supposed, to light their homes with the technology of execution. In 1893, the Columbian Exhibition in Chicago was lit by Westinghouse using Tesla’s generators and the nation saw the safety and reliability of the AC system. The preeminence of AC was firmly established when Westinghouse won the right to harness one of the great symbols of natural power in North America—Niagara Falls. The voltage of standard outlets is 120V. In reality the voltage fluctuates in a regular pattern sixty times every second. The power of this AC voltage is equivalent to the power supplied by 120V DC. 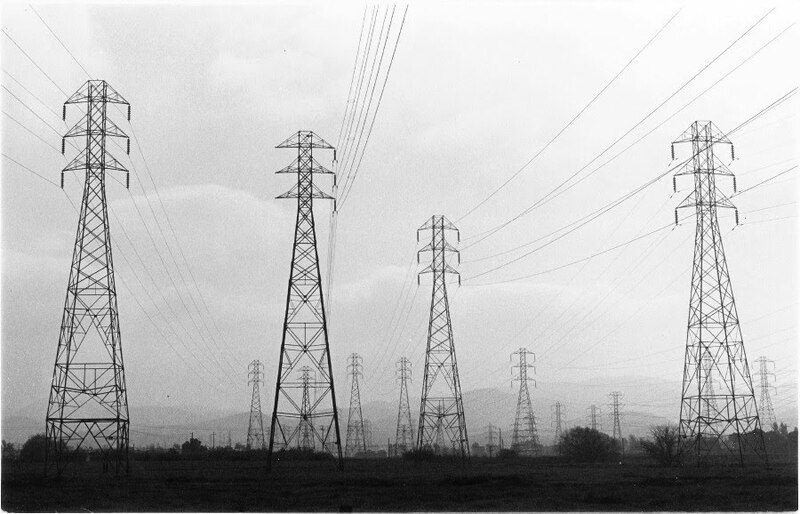 As electric companies grew, power plants were linked together in networks which covered different regions of the country. Different networks provided different frequencies of alternating current, ranging from 25 to 60 cycles per second. Continued growth and development required a standard for the country. The Federal Energy Regulatory Commission (FERC) and state utility commissions were organized to coordinate the growth of huge power networks, containing hundreds of power plants, called the electric power grid. The power grid links users and producers of electrical power in the United States and parts of Canada. In order for different generators to feed power into the grid, they must be working at the same speed to produce the same frequency of AC. Sixty cycles per second is the standard for the power grid in the United States. Each generator must be pushing the current forward at the same time, and each must reverse the current at the same time. If one generator is shut down for a while, it must be brought up to speed before it is connected to the others so that all the generators operate synchronously with each other. Each generator operates in lock-step with every other generator; and all of these power plants are connected to street lights, factories, homes, and businesses. The transformers at substations are usually behind large fences. If there is a substation near your home, can you identify where the high voltage lines go in and where lower voltage lines leaves? Imagine millions of people returning home at the end of a hot work day in summer, turning on lights and air conditioners. As the load on the power grid increases, more energy is required to turn the generators. At first they slow down. Voltage goes down. AC frequency goes down. This would be an emergency if it were allowed to continue. Electrical usage requires about 120V at almost exactly 60 cycles per second. Before the frequency drops even to 59 cycles per second the change is detected in the system control room, which monitors the operation of the power grid for a power company’s service area. Idle power plants are brought back on line. The power generated matches the load and the frequency goes back to 60 cycles per second. In the early evening, people switch off lights and appliances as everyone goes to bed. As the load goes down, generators are disconnected from the grid. This cycle happens every day. The current state of the telephone system gives us some glimpses into the future of electric power in the United States. Until the 1980s, telephone customers had no choice about which telephone company provided their long distance service. Now there are several companies you can choose from when you make a long distance call. To stay in business, each phone company must give callers a reason to use their phone service rather than another company. Competition among the companies is supposed to keep the level of service high and the costs low. The future of the electric power system may be similar to the present state of the telephone system. Electric companies have not had to advertise to get customers to buy their power. Until now, electricity consumers have had no choice. The local electric company owns all the power in the wires that come to the customers, and the local electric company collects income. That is changing in many parts of the United States. Electric power distributors will have to give customers a choice of generating companies, and generating companies will have to compete for business. Recognizing that their role is to provide service to their customers, rather than just electricity, many utility companies are actively encouraging conservation of energy, giving rebates for customers who insulate their homes or buy energy-efficient refrigerators. Whether utilities will continue to encourage energy conservation when they start to compete in the marketplace remains to be seen. A fundamental property of matter—electric charge—has enabled our society to distribute energy through cables to our homes and businesses. To the customer, it has the appearance of being very clean, and it is certainly one of the most convenient forms of energy. We know, however, the energy that comes out of the electric power grid must first be fed into the grid from power plants, which burn fossil fuels. We can affect our impact on our environment, not only in our choices of energy sources, but in the way we use energy—in its end uses. Most of the remainder of this book concerns the end uses of energy. 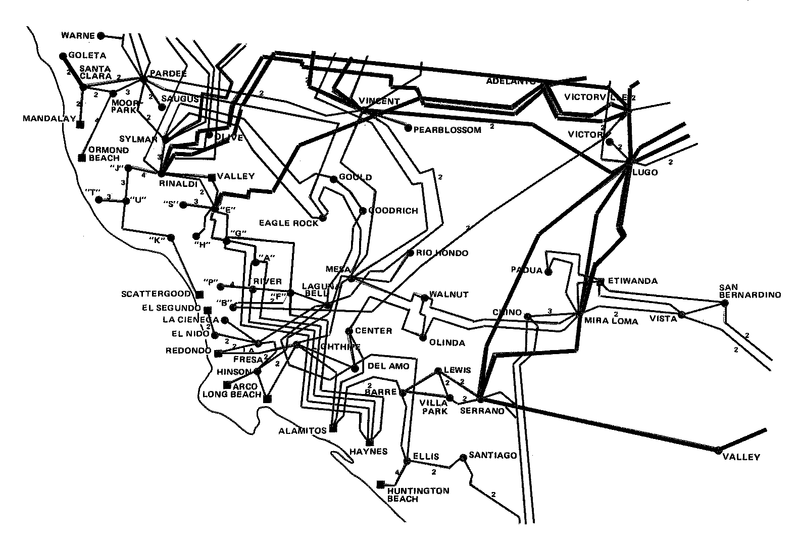 Sectional Map of the Power Grid in the Los Angeles Area. The power plants, substations, and large power lines form an immense web across the American landscape. 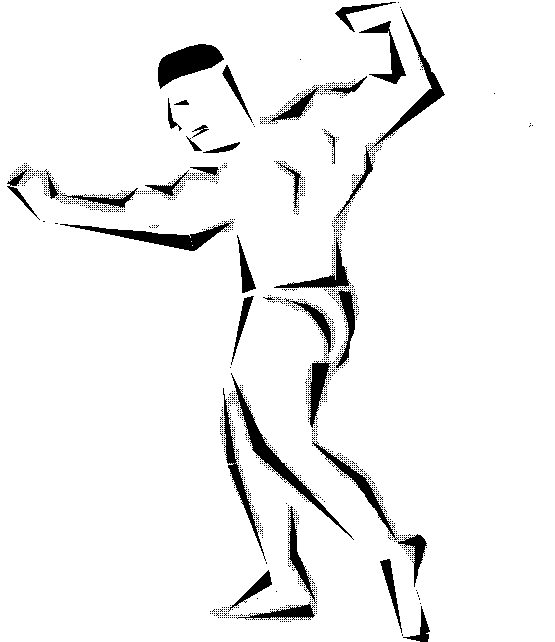 Diagram courtesy of North American Electric Reliance Council. You are browsing in a store to buy a light bulb to replace a burnt-out bulb. Will a 60-watt bulb be bright enough? Were you satisfied with its brightness? How about a 75-watt bulb? Why not a 100-watt bulb? What is a watt anyway? Watts are units used as a measurement of power. Here is the scientific definition. Power is the rate at which work is being done. Power is the rate at which energy is being transformed. The 100-watt bulb is brighter than a 60-watt bulb because it transforms more electrical energy to light energy in a given amount of time. Power is measured with different kinds of units, depending on the type of energy that is being transformed. 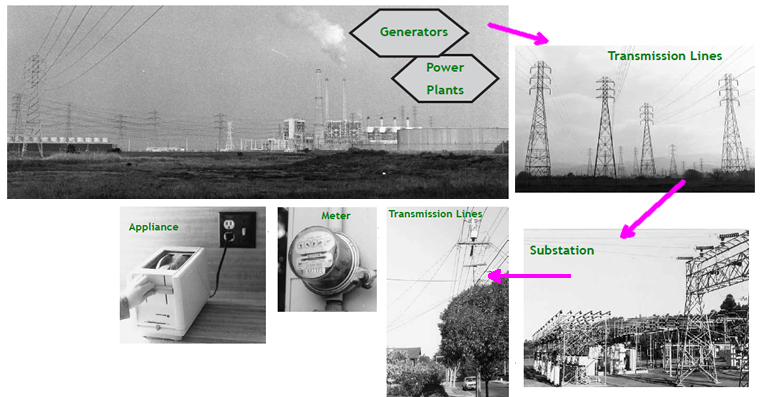 Watts can describe any power use, but it is most often used for electric power. Fuel burning engines and large electric motors are often rated in units of horsepower. Until the 20th century much of the heavy work in the world was done by horses and other animals, so it was natural to think of energy use in terms of the work a horse could do. 5.2 Can you think of instances in the United States, and around the world, where animals are still used for their power? 5.4 What power did a newlywed husband have to generate to lift his new bride the distance of one meter in one second? The bride weighs 500 newtons and suppose 1 newton = .22 pounds. 5.5 Remember the problem on page 19: If an automobile has expended an amount of energy equivalent to 1,200,000 joules of work, and to propel the car the engine is exerting a force of 600 newtons, how far has the automobile traveled? Now, if it took the automobile two minutes to travel that distance, what was the power of the automobile? How much power does it take to lift a book from the floor to a shelf at a height of two meters in two seconds, if the book weighs the equivalent of 0.25 newtons? The power of electricity can be compared to the power of running water. Imagine the tremendous power of a large waterfall like Niagara Falls. Its power can turn a dozen huge electrical generators at once. The power of Niagara Falls depends on two factors: the sheer height of the falls, and the vast current of water in the Niagara River. If the current of water were no more than a trickle it wouldn’t have much power at all, no matter what height it fell from. If the height of the falls were just an inch or two it wouldn’t have enough power to turn even one turbine. The height of the water relates to its potential energy. The current of water converts that potential energy to kinetic energy as the water drops. In a wire that carries electric power there is a current, but it is not a current of water. It is a current of electric charge. Like water, electric charge can flow in a current. The flow of electric current is measured in amperes (often called amps). Like water, electric charge can have potential energy. The potential of electric charge is measured in volts. 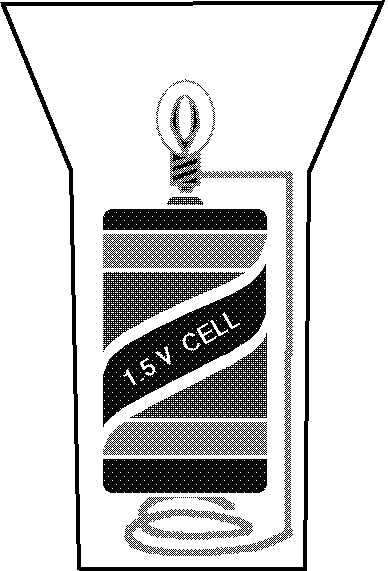 The voltage of a typical flashlight battery is 1.5 volts. Put two of those flashlight batteries together end to end and you have 3 volts. The electric charge that flows around a 3-volt circuit does twice as much work, or transforms twice as much energy as the electric charge in a 1.5 volt circuit. Most electric appliances are designed to run only at a particular voltage. Standard outlets in the United States are kept at 110V to 120V. Some high-power appliances, such as electric clothes dryers, run on 220V. Is there a 220V outlet where you live? In which room? In the simple circuits of a flashlight, electric current makes a trip from one end of the battery (or batteries) to the other end. The voltage of the battery determines how much work each bit of electric charge does along the way, just as the height of a waterfall determines how much energy is converted as each gallon of water drops to the bottom. The two flashlights on this page operate at different voltages. Can you tell which one is more powerful? The one with two batteries, right? Not necessarily. Voltage is only half the story. 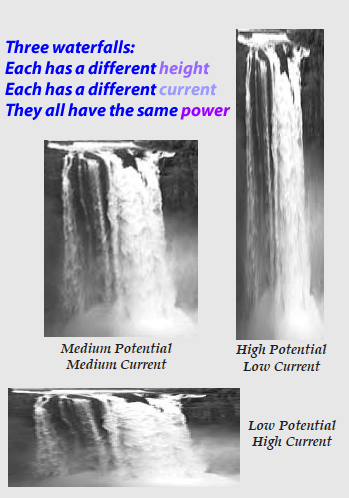 The power depends on the voltage and the current, just like the power of Niagara Falls depends on both the current and height from which the water falls. The power, P, of any electrical device, is the product of the voltage, V, and the current, I. An electric company does not charge for power. It charges for energy. Can a 40-watt lamp use more energy than a 1000-watt hair dryer? Yes, if the hair dryer is on for five minutes a day and the light bulb is left on all night. The energy, E, an appliance uses is its wattage, P, times the amount of time, T, that it is turned on. If the power is in watts and the time is in hours this formula gives you the energy in watt-hours. A 100-watt light bulb shining for one hour will use 100 watt-hours of energy. During a typical month a household uses thousands of watt-hours of electricity so an electricity bill generally lists electricity use in kilowatt-hours. What values would go in the blank cells of the table below? Laser printer 115 volts 7 amperes ??? Heating pad 120 volts 0.4 amperes ??? Hair dryer 120 volts 12.5 amps ??? In an atom, positively charged protons and neutrons are bound together in the nucleus at the center. Negatively charged electrons occupy the rest of the space in the atom. The “planetary” model is often used to illustrate an atom (left). The size of the nucleus is drawn a hundred thousand times larger than it is. In modern physics we realize the exact position and path of an electron can never be known, so electrons may be depicted as a kind of cloud around the nucleus (right). In this drawing, the electron cloud of a helium atom is enlarged about one hundred million times. At this scale the nucleus is an unprintable small dot. In many materials all the electrons in each atom are bound tightly to the nucleus. Such materials are called insulators—they do not allow electricity to flow easily. Glass, rubber, and plastic are good insulators. Materials that are good conductors of electricity have electrons that are not bound to any particular atom. The electrons flow easily among the atoms in the solid. Silver is the best conductor, but copper and aluminum are used more often in wiring. 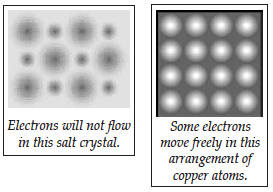 In a conductor, as electrons flow, they bump into atoms, causing them to jiggle and heat up the conductor. This effect is called resistance. Resistance transforms electrical energy into heat energy. In your home, there is a limit to how much current the wires can safely carry without danger of overheating and causing fires. Circuit breakers and fuses are devices that switch off the electricity if the current rises above a safe level. This is known as Ohm’s Law. Example: If you double the voltage across a wire, the current through the wire will double. A home toaster is rated to operate with an electric current of six amperes on a 120 volt electric line. What is the resistance of the toaster’s heating elements? What are the resistances of these appliances? Remember: Twinkle, twinkle, little star. The less current that flows, the less power is lost. So how can an electric company deliver high power with less current? Remember that power is voltage times current, so the same power can be delivered using low current at high voltage or high current at low voltage. Which alternative gives the least power loss from resistance in the wires? From the power loss formula above, the answer is obvious: minimize the current and maximize the voltage. In the problem of the home toaster on page 53, what was the power given off as heat in the toaster’s heating elements? Standard long distance power lines carry electricity at 230,000 volts. Suppose the resistance in a particular stretch of power transmission line is 100,000 ohms and current is flowing at 0.1 ampere. What is the power loss in the transmission line? Some long distance power lines operate at 765,000 volts. How much less power would be lost in a 100,000 ohm line operating with a current of .03 ampere at 765,000 volts as compared with .1 ampere at 230,000 volts? In 1911, H. Kamerlingh-Onnes assigned his student assistants to find out how the electrical resistance of metals changed when they became very cold. When the students reported that some materials had absolutely no resistance at extremely cold temperatures he sent them back to figure out what mistake they had made. There was no mistake. They had discovered superconductors. Superconductors have been used in devices such as experimental computers and medical equipment. Using superconductors in long distance power lines, electromagnets, or motors might be a way to save energy if it were not for the problem of refrigeration. Keeping superconductors cold enough uses energy. Researchers have made many breakthroughs in superconducting technology but scientists still do not fully understand how they work. Further research may show ways to save energy with these materials.